Doorstep car grooming from only $49.90? 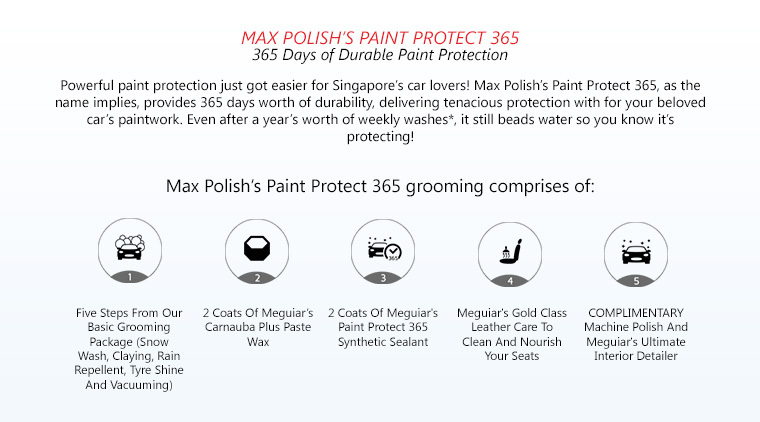 Max Polish provides that, and with premium Meguiar's products, no less. Their car grooming package consists of the complete process -- starting with wash, clay and wax, interior vacuum, finished off with rain repellent for the windscreens and application of tyre shine. 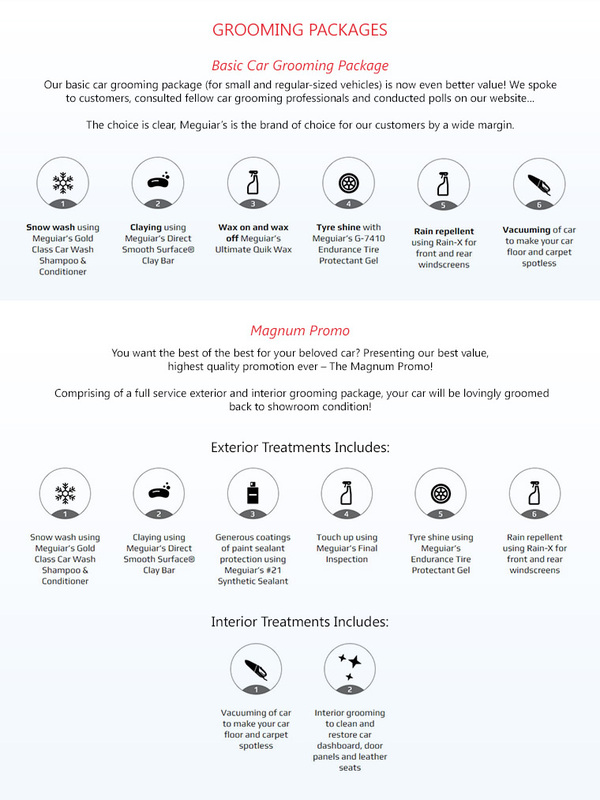 Additional services such as polishing using Meguiar's Dual Action Polisher, sealant protection, rim de-greasing, headlights restoration and interior grooming services are available, but at extra cost. Appointments can be booked online at their website. 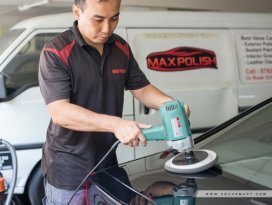 Mobile car groomers, Max Polish LLP have one aim and one aim only - to groom your car to a showroom shine, right at your doorstep. I finished my package with Max Grooming today. Utilized the free session of the entire package. First signed up with him on the August 2017. Paid for his 5 + 1 package. They are one of the best at mobile grooming trade. Quick services, very prompt and honest staff. Not only grooming, suggestion and advice of how to maintain and washing of my car was given by friendly staff. My 2 year old black car has a few swirl marks and slight scratches due to my lack of maintenance.